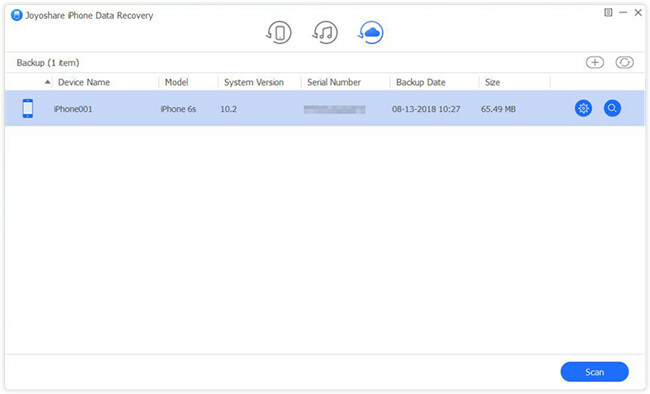 How Can I Recover Data from iPhone Stuck in Recovery Mode? Sometimes your iPhone may be stuck in the recovery mode unexpectedly or you may intend to put your device in recover mode in order to resolve some issues like your screen stuck on the Apple logo, etc. No matter how your iPhone goes into recovery mode, it will be hopeful if you understand clearly how to fix it. Moreover, iPhone stuck in recovery mode may put you in a risk of losing all your data. Therefore, in this article, we're going to show you how to fix iPhone stuck in recovery mode and the best ways to recover iPhone data in recovery mode. Step 3: Now you can choose the "Update" option to let iTunes reinstall iOS without effacing your data; if it failed to get your iPhone out of recovery mode, just click the "Restore" button, with all settings and contents being erased. But don't worry, you can reset your device and choose to restore from iCloud/iTunes backup to get your data backup. After your iPhone get out of recovery mode, and if your data is unfortunately lost, of course you can recover them by restoring an iTunes or iCloud backup file. However, by using this method, you cannot preview and selectively recover what you really want. 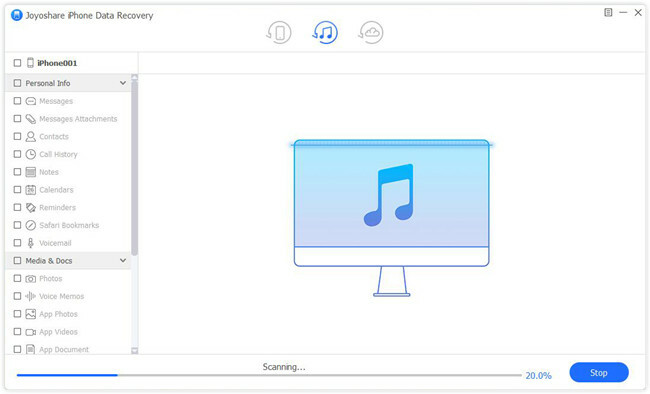 So here I strongly recommend a professional smart data recovery tool called Joyoshare iPhone Data Recovery which will help you recover iPhone data in recovery mode. 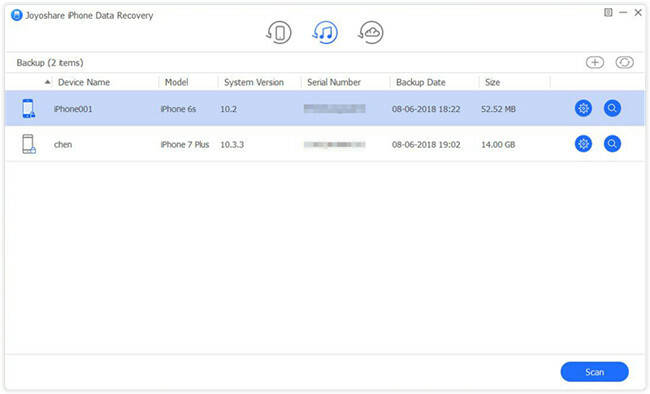 It supports three kinds of recovery modes to recover your lost data from iDevice directly or from iTunes/iCloud backup, but in this case all your data has been wiped, so you can only get your data recovered from backup files. Besides iPhone stuck in recovery mode, this powerful utility can also rescue you from any other data loss disaster such as system crash, damage screen, factory reset, password forgotten, etc. 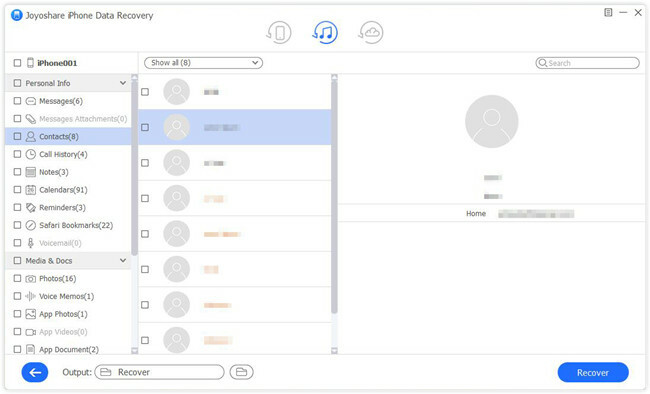 Additionally, Joyoshare iPhone Data Recovery is capable of restoring more than 20+ types of lost data including text messages, contacts, videos, photos, reminders, call history, notes, WhatsApp/Kik/Viber data, voicemails, etc. 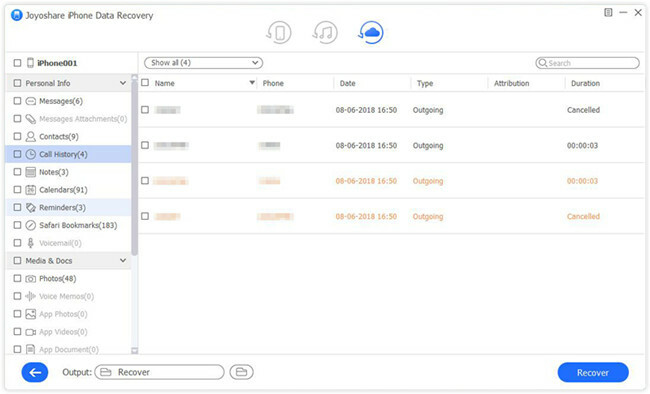 Launch Joyoshare iPhone Data Recovery and select the "Recover from iTunes" mode on the top menu bar. Here all your iTunes backup files will be detected and listed orderly. Choose the most relevant one and hit the blue Gear icon to pick up the types of data that you want to recover. Then click the "Scan" button at the lower right corner to let Joyoshare start to analyze and scan the lost files. Wait a while until the scanning process completes. Now all recoverable data are classified in types on the left sidebar. You can preview them one by one and choose the wanted ones. Then click the "Recover" button to export and save all selected iPhone data to the local folder of computer. Similarly, move to the "Recover from iCloud" mode this time after opening Joyoshare iPhone Data Recovery. 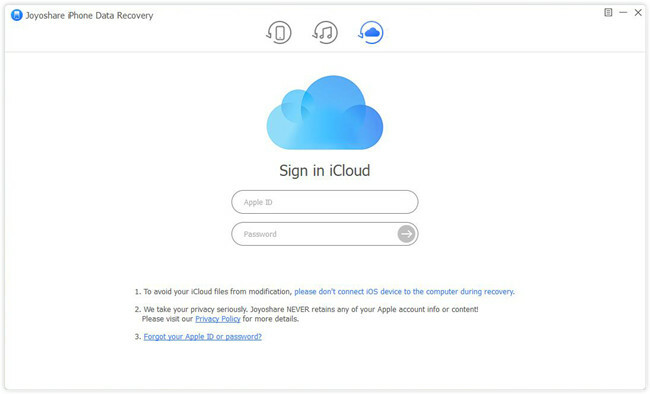 You're now required to log into your iCloud by entering Apple ID and passcode. Don't worry. Joyoshare will never keep a record of your privacy info. When you sign in your account, you can see all your iCloud backup files. Choose one that you want to restore, and click the Download button to extract lost data types. Then press the "Scan" button to scan the lost files. Once the scanning process comes to an end, you can start to preview and select the data you want. 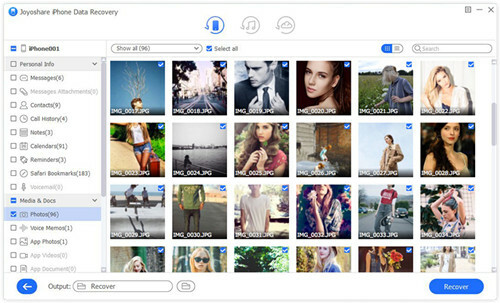 Afterwards, click the "Recover" button and Joyoshare will get selected iPhone data back for you. How to Get My iPhone Data in DFU Mode?